The first thing to consider in a Like-Kind exchange is the nature of the property you’re selling and acquiring. There are three essential requirements that property contemplated to be used in a Like-Kind Exchange must meet. The relinquished property (sold property) must have been held by the Exchanger for productive use in a trade or business or for investment purposes. The Exchanger must intend to hold the replacement property (acquired property) for productive use in a trade or business or for investment purposes. Both the relinquished and replacement properties must have a nature and character that is “like-kind” with the other. Today, my blog will focus on the first requirement, with future blog posts dedicated to addressing the second and third requirements above. In some cases it is clear whether a relinquished property meets the criteria established under Section 1031. For example, if the relinquished property is a warehouse that holds a retail store’s inventory, a commercial or residential building where rents are collected from tenants, or a factory where widgets were developed and are manufactured—one could comfortably ascertain that such property would qualify. In other cases it is also clear that some properties would not meet Section 1031’s criteria. For example, any property used predominantly for personal use is disqualified. Therefore, an Exchanger’s primary residence or a vacation home primarily used and enjoyed by the Exchanger, their family and friends could not be used in a Like-Kind Exchange. On the other hand, there are times when determining whether a property qualifies for a Like-Kind Exchange is more difficult, when the line separating qualified from disqualified property is blurry. For example, what if the Exchanger has a vacation home he uses and enjoys with family and friends for part of the year, but rents it out too? What about property that started off as non-qualifying, but over time has changed its character to fit a qualifying purpose? What about property that serves both a qualifying and non-qualifying purpose at the same time? How do you characterize vacant and unproductive land which is not used for personal enjoyment nor in furtherance of any trade or business purpose? When it becomes difficult to determine whether property qualifies for an exchange, and when the Tax Code is silent or unclear, you must carefully review other authoritative sources. These supplementary sources include judicial opinions, as well as revenue rulings, procedures, and regulations issued by the IRS. In considering the answers to the questions posed above, we will consult and analyze these sources. Our analysis will provide a basis for finding whether a property qualifies or not. Though the analysis presented to the reader may help them glean insights to understand their own peculiar situation, it must be reiterated that investigation and analysis of such questions are very technical and difficult. Particularly when confronting these more difficult questions, the real-estate investor is strongly encouraged to obtain professional counsel. What if the Exchanger has a secondary or vacation home that he uses and enjoys personally with family and friends for part of the year, but rents it out too? The purchase of a secondary residence or vacation home can be motivated by a number of different factors. 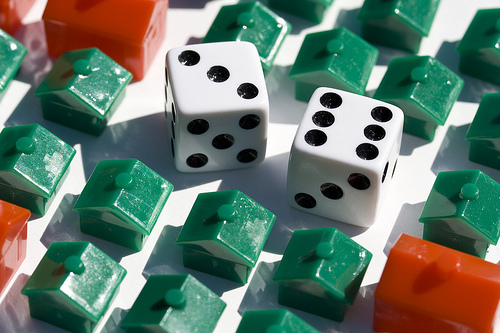 Some common motivations may be that the purchaser believes or anticipates the property value will appreciate in the future, that they can use the property for their personal use and enjoyment, that the property can supply additional income through assessed rents, or some combination of these. The motivations listed, though not exhaustive, have been addressed by the IRS and they provide the following insights. [i] In Moore v. Commissioner, the plaintiffs’ Barry and Deborah Moore argued that their vacation homes qualified for a Section 1031 exchange because their motivation for acquiring and holding such properties was for investment purposes—“the prospect of appreciation resulting in profits on the eventual sale” of them. The United States Tax Court rejected their argument, ruled that neither property was held for investment, and disqualified the sale of these properties from tax-deferral treatment. The fact a property was purchased with the expectation it would appreciate is not sufficient to establish investment intent or qualify the property for a Like-Kind Exchange. This is because most real property is purchased with the expectation that it will appreciate in value. The Court in Moore, therefore, undercuts the investment motivation as a valid sole basis to support a property’s inclusion in a Section 1031 Exchange. Investment motivation, on its own, will not qualify a property; there must be something more. [ii] The collection of rents from secondary residences or vacation homes provides a more secure basis for investors to characterize such properties as qualified for a Like-Kind Exchange. But even when rents are collected, a property may still be disqualified if the rent charged is below the property’s fair market rate. In Adams v. Commissioner of Internal Revenue the plaintiff William Adams rented property to his son Bill and charged him a rate below its fair market value. In addition to paying rent, however, Bill, an experienced homebuilder and renovator, also made significant improvements to the property while living there. Though the rent charged was below the fair market rate, the Tax Court considered the renovations and improvements Bill made on the property as dispositive to their final determination of whether it could be used for a Like-Kind exchange. The Court held that the property qualified for a Like-Kind Exchange because the work performed by Bill, which maintained and substantially increased the fair market value of the property, should be considered and accounted for when determining William’s investment intention and purpose. Therefore, as a general rule, properties rented at rates commensurate with its fair market value will likely qualify for a 1031 exchange. If, however, the property is rented at a rate below the property’s fair market rate, it may be necessary that other factors exist which can bolster the assumption that the Exchanger is acting to achieve an investment purpose. If other factors are required, whether those factors are sufficient to qualify a particular property for an exchange are determined on a case-by-case basis after reviewing the facts and circumstances of the particular arrangement. The Tax Court in Adams though not providing a bright-line rule to be applied in all cases, seems to endorse the proposition that actions that supplement rent—those that either maintain or increase a rental property’s value—should be weighted and considered when determining whether a property qualifies for a Like-Kind Exchange. [iii] In many but not all cases, an Exchanger who holds property for their personal use and enjoyment, will be unable to exchange that property under Section 1031. The exception occurs where the predominant use of the property is for a qualifying purpose (trade, business, or investment). When an Exchanger holds property for both personal and qualified uses, the question of which use predominates can be contentious and difficult to determine. The IRS therefore carves out a safe harbor within which an Exchanger can ensure that the mixed use property will be eligible for tax-deferral treatment. Revenue Procedure 2008-16 provides that the Exchanger can claim safe harbor for property held for at least 24 months before (for relinquished property) or after (for replacement property) the Like-Kind Exchange takes place. Within that 24 month period, two things must occur during each 12 month span. First, the Exchanger must rent the property at a rate commensurate with its fair market rate. And Second, the Exchanger must restrict their personal use of the property to the greater of 14 days or 10% of the number of days that is was rented at the fair market rate over that 12-month period. What about property that started off as non-qualifying (i.e. primary residence), but over time has changed its character to fit a qualifying purpose? What about property used concurrently for both non-qualifying and qualifying purposes, for example a primary residence, a part of which functions as an office space? How do you characterize vacant and unproductive land, which is not used for personal enjoyment nor in furtherance of any trade or business purpose? Below is the Table of Contents for the current and future 1031 Exchange Series of Articles.